In 2014, the head of CBSAP, USA Mr Stephen Ramsden donated a premium 127mm APO refractor telescope (with other stuff) to me so that can help me with more outreach programs. This telescope has shown the Sun to tens of thousands of people all across the province of Punjab. They include people found in public parks, kids in schools, colleges and universities. I have also used this scope countless time to see the night sky objects and to image moon, sun, planets and many dso. I am using this refractor telescope on my previosuly owned Celestron CGEM DX mount. Always wanted to use more potential of this scope. 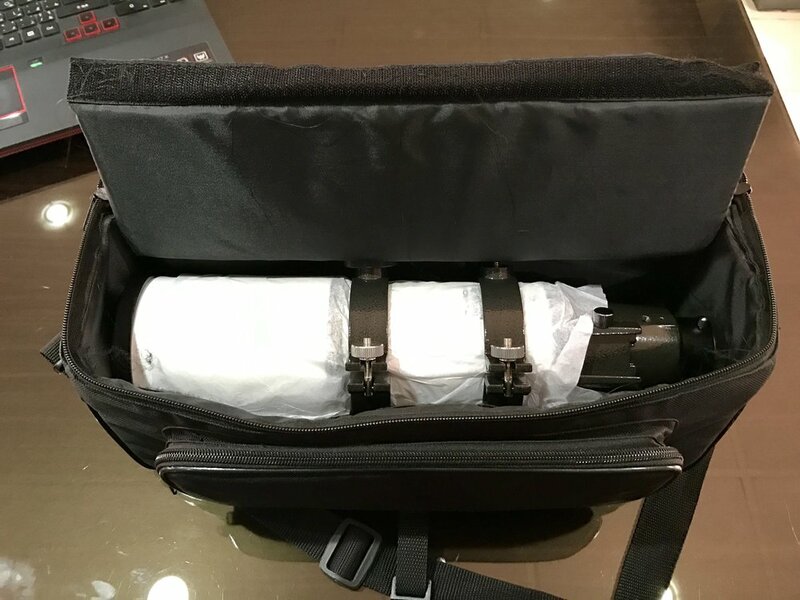 So i recently bought an autoguider scope which will attach with the big APO and give me a 'hands free' experience of imaging deep sky objects. 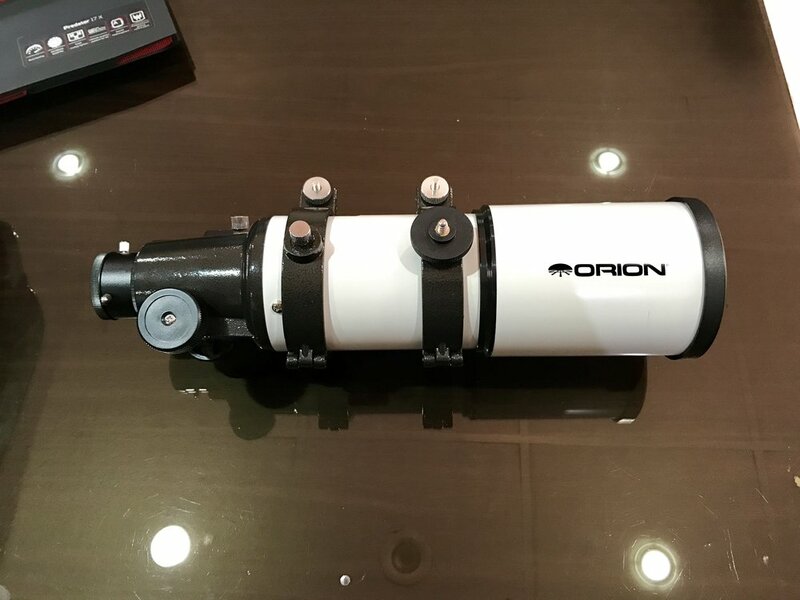 The make is Orion and its an 80mm refractor. Here are the images from the unboxing event!